This is a large tote bag without the large price! Attractive trim colors give it styling to match any logo. 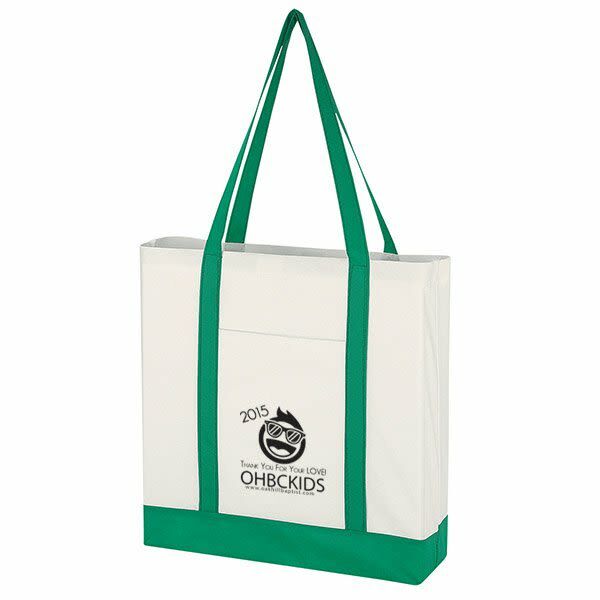 This tote bag is made of 80 gram, non-woven, coated water-resistant polypropylene. 24 in. handles and a front slip pocket. Price includes a one-side, one-color imprint. Additional imprint colors are available for an added fee. Please call for more details.